As a marketer you should know how to make your life easier with some pretty handy tools. And as a Traffic Manager at VIBBIO I have a set of go-to tools I use every single day. This is not meant as a promotion of these platforms, but I just want to show you how we work to scale our digital marketing efforts and generate leads. There is no doubt that Google Ads is extremely powerful and the most complex ad platform that ever existed. Only in 2016, Google Ads (previously Adwords) generated 79.4 billion dollars for Google. And while some people hate it, I personally love it! With the recent redesign it’s even more user friendly and understandable. Although it might take a while to master, the possibilities are endless, especially with the new features – ad rotation and an extra headline in your search ads. Google Keyword Planner is a tool located in the “Tools” tab in Google Ads. It gives you actual keywords suggestions and numbers such as average monthly searches, competitions, average bid other advertisers have paid in the past, and much more. Maybe it isn’t the best tool to use if you’re doing your keyword research, but it is most certainly a great start to your first campaign. No matter what tools you use for your digital marketing you should always know if your efforts bring results. No matter if you are just a beginner or a pro in your field, you have to learn how to use Google Analytics. Want to know how much traffic your website get from social media channels, paid ads, or organic traffic? Or are you curious about who your audience is, where they are coming from and how much time they spend on your website? To answer these and other questions, set up your Google Analytics account correctly and dive deep in the massive variety of options that this extremely powerful (and free!) tool offers. Facebook is surely the biggest social media network in the world and it has a huge potential market with over 2.23 billion monthly active users. The best part is that Business Manager is super easy to use and you will definitely catch up fast with its features. Thanks to this tool you can create, publish, monitor, and report on your ads and posts, and reach people based on country, interests, devices they are using, behaviour, habits, household income (in some countries) and even life events. Dive deep into Business Manager tools (especially video ads), it’s worth it. We all know that “A picture is worth a thousand words” and I would rather say that high quality visuals will do the job. Unsplash is probably the best website for free high resolution images which you can download and do whatever you like with, without any restrictions. The photos are awesome, and you can easily browse them by keywords, collections or search engine. If you wish you can thank the author of the image. If you are not a designer but you need to create some graphics or pictures for ads or blogs, Canva (which has both free and paid packages) got your back. It provides you with tons of awesome tools and templates to easily create great designs in a variety of different formats within a few minutes. All the social media channels have been favouring videos in their feed these past few months (or years). It should come as no surprise that the videos we put together at VIBBIO bring so much more traffic and engagement than any other visuals or texts. VIBBIO is a video creation platform, where you can quickly and easily make videos from existing visuals and graphics for many different purposes and audiences – within minutes! The best part is that you don’t need to be a pro to create professional videos and clips. Add visuals, music and text and that’s it. Your awesome video is ready to roll. It is a fact that visuals, and videos especially, have taken over social media. TwentyThree is a video marketing platform where I can manage all my videos in one place, share them on any social media platform, download different formats, create landing pages and analyze video views. A real time saver! Our entire team is taking advantage of Hubspot. I personally use it for analytics purposes, blogging and landing pages creation. But there are tons of other options as well, such as email marketing and sales. 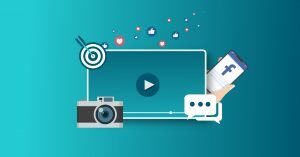 You can easily connect and publish to all the possible social media platforms out there, analyze your results and get new leads. In addition you can learn a lot about Inbound Marketing and even get certified 🤓. Slack is a super cool chat tool that we at VIBBIO are using daily. While some people would say that it ruins their productivity, we believe that it actually makes it better and keep us all updated and engaged. It has tons of great integrations with other popular tools that the team members use and it also has fun and useful bots that can do a lot of different things (we use Taco bot to reward someone’s great achievement 🌮). Ubersuggest is a free, simple tool for keyword research. Although it is sometimes lacking data from the countries that I need, it is still often better than many other similar tools I’ve worked with. Unlike the Google Keyword Planner, Ubersuggest gives an exact keyword count instead of a range of keywords. Combine these two tools for a better keywords research strategy. Moz is a complex SEO software. It has a variety of advanced options that experts use and recommend. One of the coolest options is “page optimization feature” which shows exactly what’s good and what’s less good with your website. In addition, MOZ has a pretty sweet chat portal where you can get insightful responses to your dilemmas. For me personally this tool is definitely one of the best, but it’s lacking lots of crucial data from the countries that I’m interested in (like Norway for instant). For that reason I’ve decided to give SEMrush a try – another tool loved by the SEO community. We will see how our adventure goes. I’m pretty sure that I don’t have to introduce this tool to anybody. Music helps me focus and stay on track as well as keeping me energised and motivated. Spotify has 2 different package options, and I use premium as I get distracted by commercials. Also, it’s perfect if you love dance breaks with your colleagues 💃. And there you have it. My list of the ultimate tools that I use every day. Do you have your favourite platforms? Don’t hesitate to contact me, I would love to learn and find out what makes your life easier as a marketer. Do you want to try VIBBIO? Sign up to get a free trail!